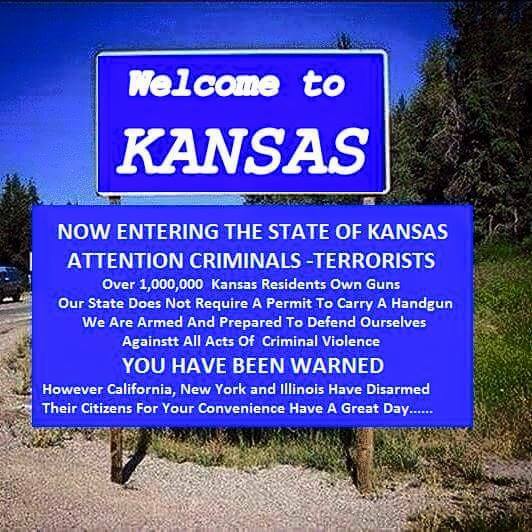 Over 1,000,000 Kansas residents own guns. Kansas has just under 3 million residents in total, which would mean that more than 1/3 of Kansas residents own guns. I've spent most of my adult life in Kansas, and while many of my friends do own guns (some multiple guns), I don't think 1/3 of my friends are gun-owners. But naturally, my friends do not make for a representative sample of the population as a whole, so I'm asking here. I wouldn't be the least surprised to find that over 1,000,000 guns are privately owned in Kansas, but that doesn't translate to over 1,000,000 gun owners. Yes about one third of residents of Kansas own guns. And it's far from being the state with the highest gun ownership. There are plenty of surveys of gun ownership in the US, and figures for Kansas are generally in the low thirties. Some older surveys place it over 40%. Six states have gun ownership rates over 50%. If your friends are a representative sample of US residents overall, then yes, 1/3 of them own guns. Technically the surveys are of adults owning guns, so if children own fewer then the figure may be less than a million. But if you consider 'people living in a household where a gun is owned' I would expect that to bring it back over the million. Mother Jones contains a link to the original study data.